The literal definition of dueling pianos can be verified as early as the late 1890s, when ragtime piano players would actually "duel" in an effort to see who could play better and faster. 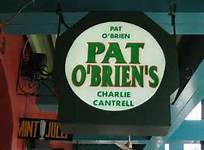 In 1933 Pat O'Brien's opened in New Orleans, It was where 2 piano players would entertain the crowd on copper-topped baby grand pianos. Players would take turns singing songs requested by the audience, written on cocktail napkins. In 1986, a piano bar called "Alley Cats" opened in Dallas as an attempt to copy the piano bar style of New Orleans. Players at this club started redefining the style of dueling pianos by playing more contemporary rock and roll music, coupled with humorous bits that involved lyric substitutions and audience participation. These "bits" would become commonplace at many dueling piano bars over the years, as a staple of the industry. From there, many dueling piano bars and chains opened, and there are currently well over 200 different bars across the United States, and even more in other countries. The name of the concept has also " evolved to be called "sing along" since THE GOAL OF THE PLAYERS IS NOT GENERALLY TO WORK AGAINST EACH OTHER --but rather to gain audience participation with singing and clapping etc..." This is widely accepted as the current incarnation of "dueling pianos.